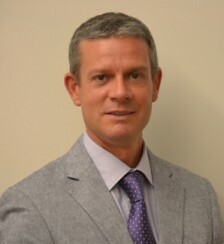 Dr Tunez’s professional experience includes working for the Department of Orthopedics and Traumatology at the Hospital de Sant Pau Barcelona where he has also occupied the position of Department Head of Traumatology in the Emergency Room and as a member of the board of directors of Emergency Medicine. In addition, Dr Tunez has worked at the Hospital Comarcal de l’Alt Penedes (Barcelona) and has provided consultancy services to several large insurance companies. Currently Dr Tunez is a member of the Unit of Advanced Orthopaedics and Traumatology at the highly regarded Hospital Quiron in Barcelona. Like his partner Dr Escalas, Dr Tunez has received extensive training in advanced minimally invasive Hip, Knee and Shoulder surgery and is particularly experienced in prosthetic surgery. The doctor has presented papers at several national and international Speciality Meetings and has published several papers and chapters in Speciality books. *A Copy of Dr Tunez\'s complete curriculum is available upon request.